I haven’t been “philosophical” on my blog in a long, long time. But I have some thoughts today. 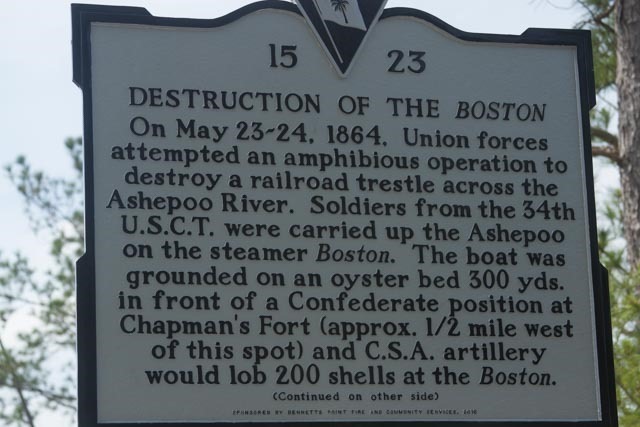 In May 1863, the Union vessel, The Boston, sailed up the Ashepoo River to take out the trestle for the Charleston-Savannah Railroad in order to cripple the Southern troops and the South in general. 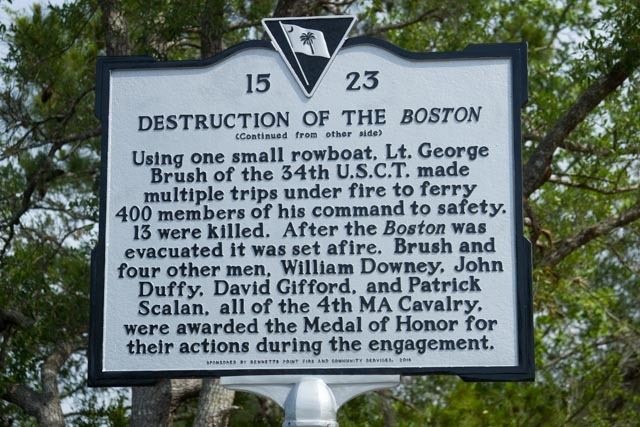 Southern troops managed to keep the Boston from reaching the bridge. While on the trip, the Boston became lodged on in the marsh. At one point, an order was given to destroy the vessel. Five Union soldiers helped rescue hundreds of black Union soldiers. The rescuers were white. Now, that may not be a big deal, but this monument is a BIG DEAL. First, it recognizes a Civil War battle that took place in the South. Second, it honors an engagement in which the Confederate forces were (sort of, thanks to the grounding the Union vessel) successful in preventing the Union forces from destroying a vital portion of the railroad. 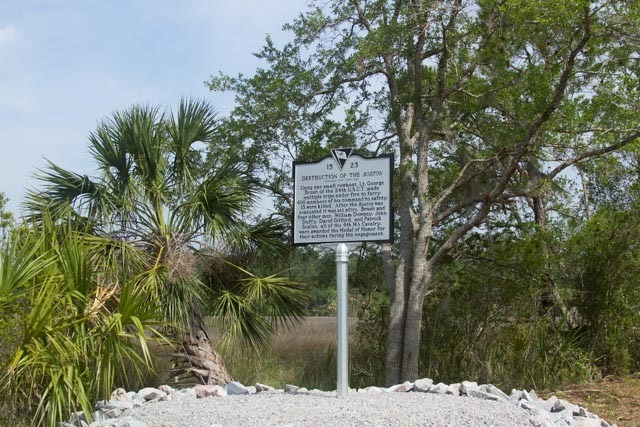 Third, the marker honors five UNION soldiers who received the Medal of Honor for their acts of bravery. These men did not care about the color of the skin of the men in the regiment. Those men needed saving. Period. I’m processing all this in the context of recent events in New Orleans where Confederate monuments have been removed. We cannot change history. The Civil War, the War between the States, or the War of Northern Aggression—however you want to name it—happened. That fact can’t be changed by anyone. There were brave men on both sides of the line; there were Southerners who were opposed to slavery but fought to protect their land. There were unscrupulous men who fought only to kill another human being. There were cowards on both sides as well. We can’t rewrite history or change the facts. What we can do, though, is try to understand what happened. We have to learn what really happened. We have to see things through the other side’s eyes, whoever that other side is. What I appreciate about this marker is that it honors Medal of Honor winners. It presents a more balanced view of this engagement. The Bennetts Point community should be proud of it.